Your coloring is awesome Natasha!! Very pretty! Love the scalloped border! Thanks for posting early as I like to do your sketches on a Friday. Your sample is great - I love the colour combo and the colouring is very impressive! Wow, your sample card is gorgeous and the others entered are as well! I just found your challenge blog, I hope I have time to play! 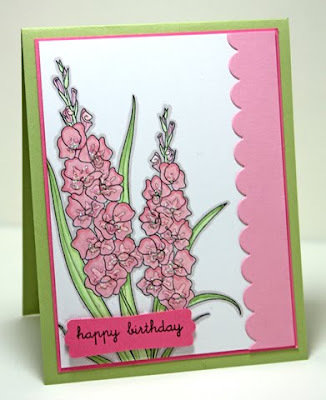 Beautiful card, love the gladiolas. 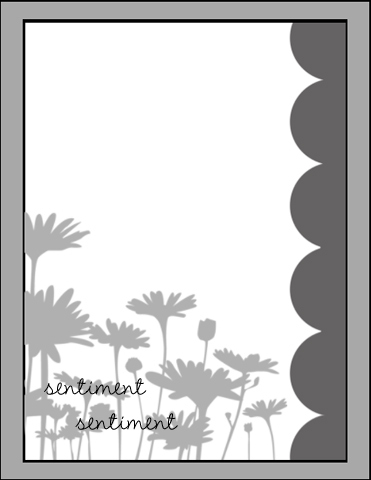 Gorgeous card & LOVE the sketch! Thanks for the sketch...another winner! And this creation is just beautiful! Hope no one minds that I'm going to be playing catch up for a while!